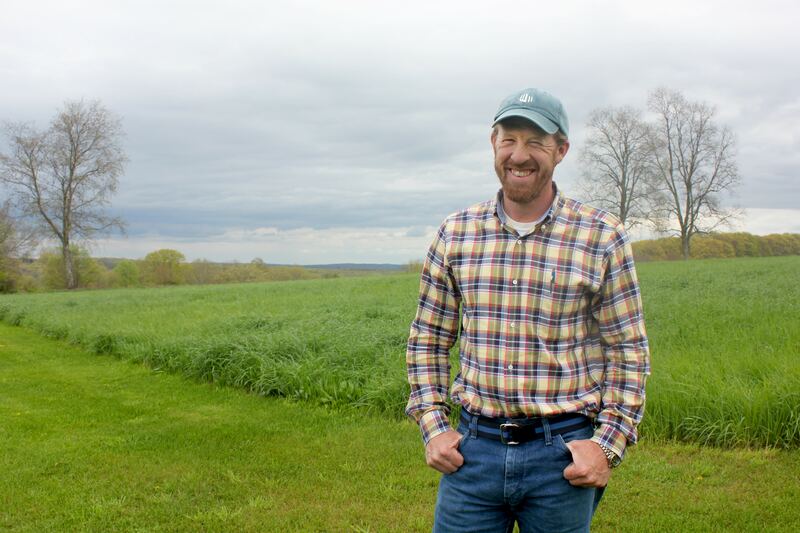 Eliot Johnson is a part-time farmer and the owner of West Mountain Builders. Eliot lives, farms, and does business on property that once housed his grandfather’s dairy farm – which began in 1941. A spirit of service endures via Eliot’s contribution to the volunteer Board of the Washington Art Association; he also previously served as a Trustee for the Steep Rock Association (SRA). Recently, we had a chance to hear from Eliot on why he supports the work of the SRA. SRA: What is your favorite place in Steep Rock Association’s preserves? Eliot: I love the accessibility of Hidden Valley’s bridge to bridge walk, which is a beautiful trail and easy enough for all ages to walk. However, my real favorite is a small patch of land at the end of our road called West Mountain Preserve. It is a steeply wooded hillside with a quiet stream at the bottom that my brothers and I spent many hours traversing in our younger years. Last week I had to haul my three young boys out of the same woods after they rode their bikes down to the bottom and couldn’t quite make it back up on their own. SRA: What do you wish other people knew about local conservation efforts? Eliot: Sometimes I think people are unaware that Steep Rock is not a public park, but a privately funded enterprise. I wish more people knew that there are volunteer opportunities at Steep Rock and many ways to contribute to its preservation. SRA: What can you share about other people you’ve met while supporting our cause to protect the land and river while connecting the community to nature? Eliot: Steep Rock’s mission – namely to protect and preserve the natural spaces of Washington – has a way of unifying the sometimes divergent elements of our community toward a common cause. I have found that the people involved in Steep Rock, while often from different backgrounds, have in common a strong love of nature and a passion for preserving this unique community. SRA: Why do you chose to donate to SRA? Eliot: As parents to young children, local business owners and Washington residents, my wife Stephanie and I strongly believe that giving to Steep Rock is an investment in all of our future. Steep Rock and its mission of preservation, makes Washington a unique and beautiful place. Maintaining that benefits my children, my business and my town; we feel privileged to contribute. For the full interview of Eliot, please read The Steep Rock Vista, Summer 2017. Visit our donor page to join with Eliot and help us continue to care the land in Washington CT and connect the community to nature. Thank you!